Fall is approaching. I know that back home in the parts of Canada I have lived that fall has already begun, but here in the Kansai region of Japan, it is still a time of year I am eagerly anticipating. I have seen a few signs of fall and was delighted, but then disappointment set in. The searing heat of the Japanese summer returned and the discomfort of non-stop sweating was again a reality. Fall is coming though. I am excited about that. Autumn has always been my favorite season and it is pleasant here in Japan. I stop sweating so much. I hate sweating, but it’s all I do for about 5-6 months of the year in Japan. With fall comes a lack of sweat. I can get behind that! People constantly asking me if leaves change color in Canada as well! This is a confusing and somewhat annoying question one receives in Japan, more so in Korea, but here as well. For some strange an unexplained reason, many folks in Japan (and Korea) think that seasons have to do with national borders and not hemispheres and distance from the equator. “Yes, we do have four seasons in Canada.” I tell them. Then they look at me blankly and say they had no idea. Seasonal Japanese beers. I love beer and Japanese breweries love producing limited time and seasonal beers. Some a good and some are not. 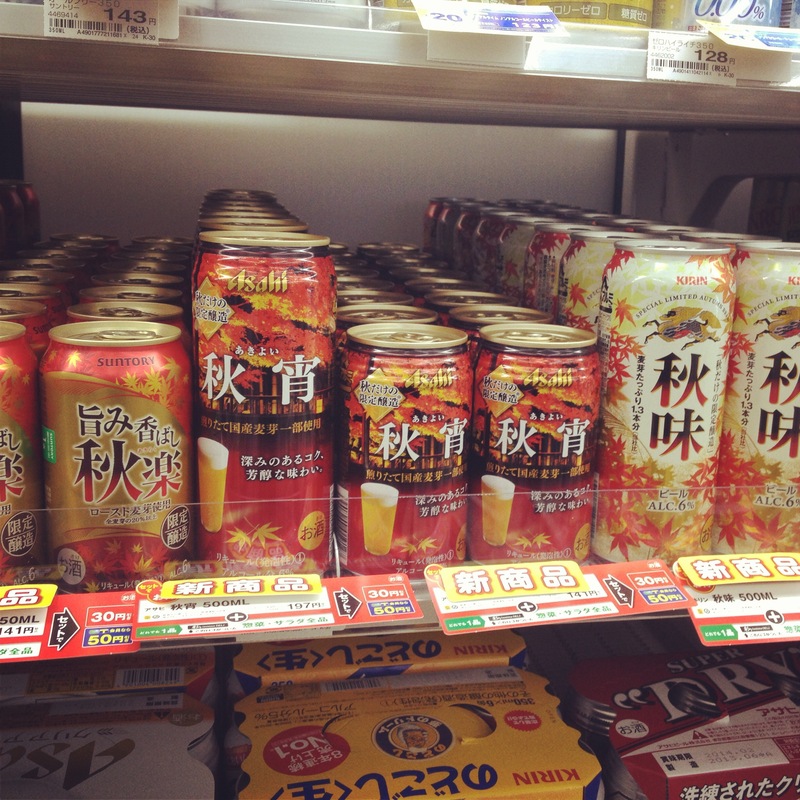 I enjoy a few of the fall beers by Kirin and Suntory. 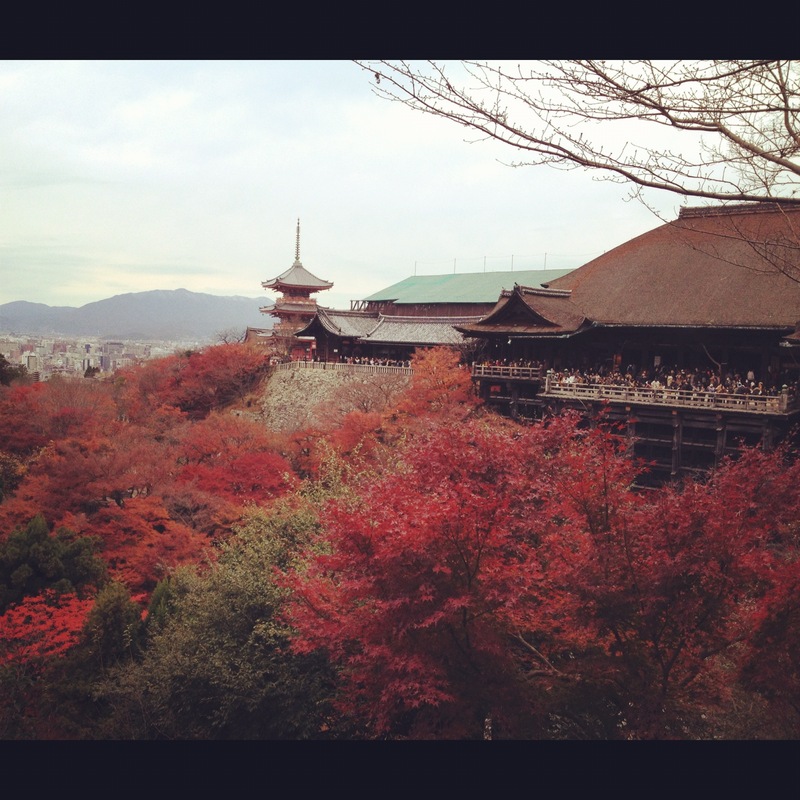 Fall colors in Kyoto. They are spectacular. A great time of year to visit an amazing city filled with wonderful history. Running in fall. I like running and there’s no better time to be a runner in Japan than in the fall. Shivering Japanese women. It never ceases to amaze me that almost every woman I see in Japan (sweeping generalization) starts shivering and complaining about the cold once the temperature drops below 20C. Fall fashion. I can never stop giggling inside when I see the equivalent of Japanese hipsters dress as if they are going on an Antarctic expedition once the temperatures drop below 20C. They may be melting on the inside, but fashion is important and once must at times suffer for it (unless you’re me and have no idea what the concept of fashion is). Summer is over. I said it before and I’m saying it again. I’ll have to look out for those seasonal beers when I’m in Japan!